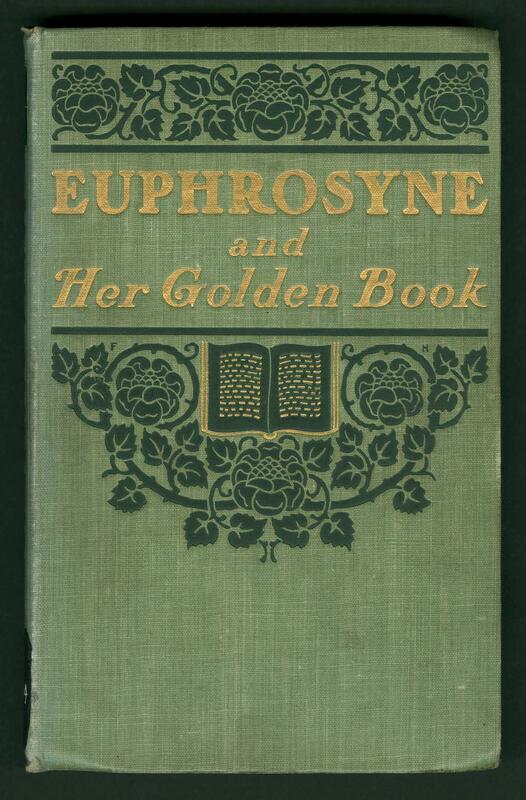 Visual display of the Euphrosyne and her "golden book"
Green calico-grain cloth. Gold and black stamping on front and spine. Black stamping on back. Top gilt. 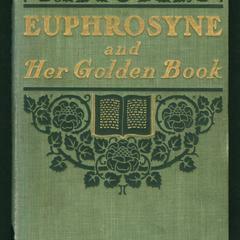 Signed front binding: F H on front cover attributed to Frank Hazenplug. Unsigned back cover attributed to Will Bradley by Will H. Bradley: his work #B12.